The first consumer cameras dedicated to capture 360 video appeared in the last year and in 2016 it’s (or it will be) possible to buy at affordable prices cameras that the early adopter can use to create content requiring no more that the home computer. Priced at $350, its twin f2.0 lenses each have a 12-megapixel image sensor used to create 5,376x2,688-pixel-resolution equirectangular JPEGs. 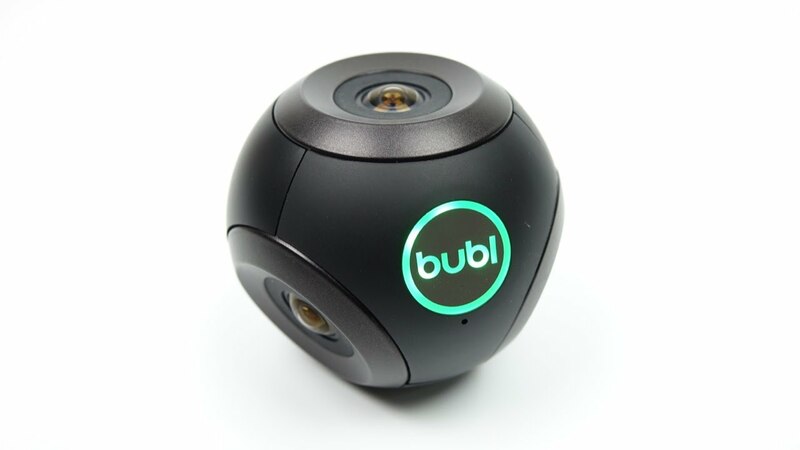 It can also record spherical video with stereo sound in full HD at a usable 30 frames per second for up to 25 minutes. The original 360fly is available now for $400, and records at 1,504x1,504-pixel resolution at 30 frames per second. The upgraded 4K version ($500 when it ships in the spring) records at a resolution of 2,880x2,880 pixels at 30fps, but will also have a front-facing mode for recording regular widescreen video at 2,560x1,440-pixel resolution with a field of view of 178x100 degrees. Like the 360fly and Kodak's first SP360, the SP360 4K uses just one lens to capture its 360-degree panoramic view. Unlike with the 360fly, you can use two of these cameras simultaneously to give you a full spherical video once the footage is stitched together with included desktop software. A single camera will set you back $500, while a dual pack runs $900. After a very successful Kickstarter campaign that had a projected delivery date of November 2014, the company is only now ready to ship to its backers. If you want one of these $500 cameras, you've likely got a wait ahead of you. This ball-shaped camera is pricey at $800, but packs four cameras, resulting in a complete sphere with no blind spots, and all the processing and image stitching is done in-camera. Its video is also viewable with the current crop of VR headsets and Google Cardboard. If you're interested, you can buy it through the company's site, but due to high demand the company cannot guarantee a shipment date. 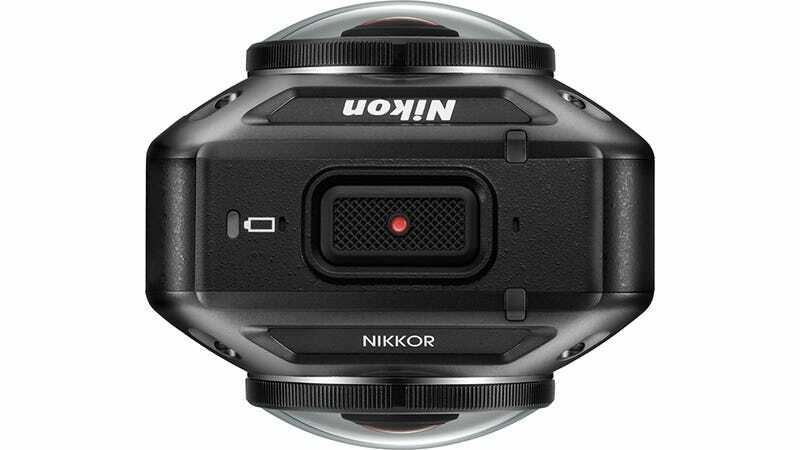 Nikon is entering the action and 360-degree camera market in one fell swoop with the KeyMission. Announcing it at CES 2016, the company offered few details. Availability for the Gear 360 is scheduled for the second quarter of this year, and there is no pricing yet. I would expect it to be at least a few hundred dollars, though with Samsung making the editing/playback device and the VR headset, it's ripe for bundling. 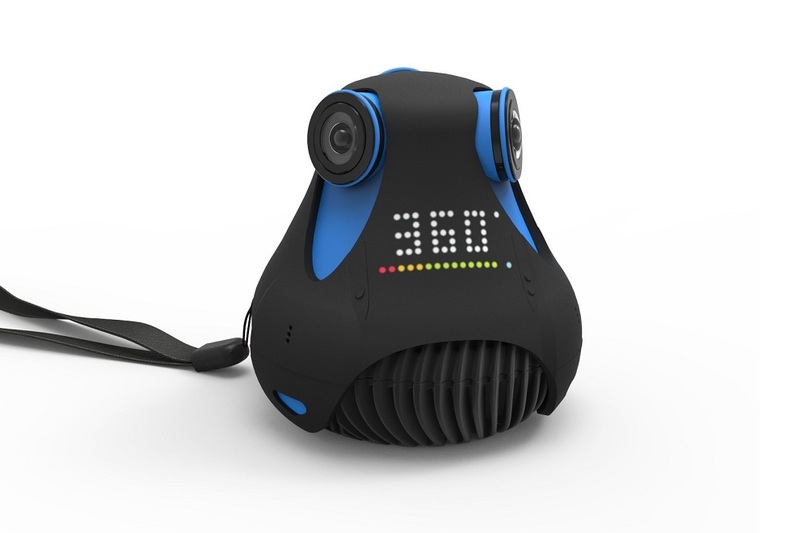 Debuting alongside the G5 smartphone and a long list of other accessories LG revealed at Mobile World Congress 2016, the South Korean electronics giant has promised its first camera for creating spherical video and pictures: the 360 Cam. No pricing or availability was announced, but I'd expect it to roll out around the time of its LG 360 VR glasses and the G5. This entry was inspired in this article from CNet. Video 360 is a fantastic technology. Let's hope that devices with fair quality and affordable prices come up soon.